New! Just for ISBA members—IllinoisBarDocs provides fully automated, Illinois-specific legal forms that can be used anytime, anywhere and on any device! Only $20 per month or $199 per year. 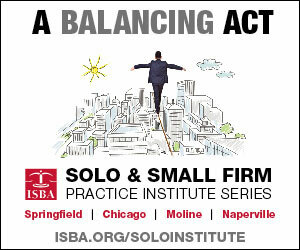 Go to http://www.isba.org/forms/illinoisbardocs for details. An overview of the activities of the Standing Committee on Law-Related Education over the past year. Illinois now requires one full semester of civics for all students enrolling in high school on or after July 1, 2016. Granite City High School imparts a strong belief that civic engagement among its students prepares them to become productive and responsible citizens and it has a long-standing tradition of community service and civic engagement. O’Fallon Township High School, a school of 2,600 students in O’Fallon, Illinois (just east of St. Louis) was recently designated a Democracy School by the Illinois Civic Mission Coalition.